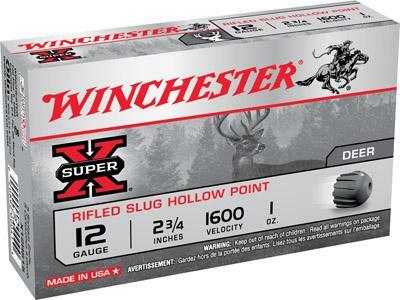 For superior slug performance, you can't beat the stopping power of Winchester Super X slugs. Specifically designed to deliver maximum accuracy and tremendous energy deposit in shotguns with smooth bores. Can also be used in rifled choke tube barrels or fully rifled barrels. 12 Gauge, Sabot Slug, 2.75"
20 Gauge, Sabot Slug, 2.75"